Creative Techniques for knitting BOTH sides right! 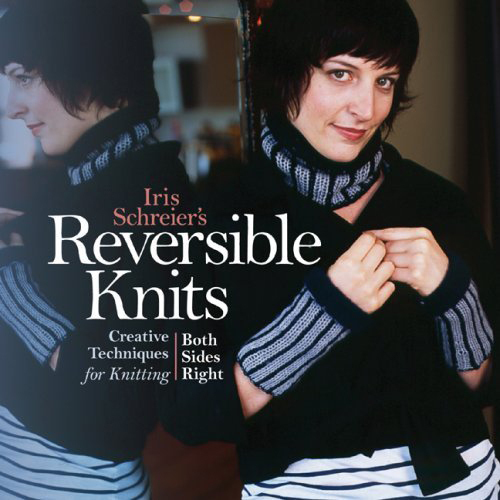 Ccelebrated author Iris Schreier presents 24 exquisite projects, and dozens of in-demand techniques that result in garments that look great on both sides. Using knit/purl, two-color, double knitting, cable, lace, and modular knitting methods, Iris creates beautiful shrugs, shawls, scarves, throws, hats, socks, and more. Some of the items actually have different looks on the front and back while others simply show the same clean, finished fabric throughout. Iris walks novices through all the essentials, then shares modern adaptations of classic stitches, illuminated by photos of hand-knitted swatches. As a bonus, there’s a super-handy yarn substitution chart and an appendix with extra variations for advanced knitters. Knitters of all skill levels can now achieve true “revers-atility”!